Do you sometimes wish the eekeemoo and yum yum could talk english? Or do you think that the silent element and shape language is key to eekeemoo's story? 10 more pages to go, Willy? In the series, or just this section? No way! I like the silent nature of the Eekeemoo. I think the mystery and the dream like nature of the story is really appealing. The heavy use of black, the strangeness of the character designs, the reoccurring theme of death and resurrection, and the lack of dialogue all create a surreal dream like experience that is amazing. If you added dialogue I think it might take away from that surreal feeling of the comic. I find myself translating the dialogue/hieroglyphics in my head anyways. This makes the story more personal and I think that helps the audience relate to Eekeemoo. Hey Jake, Thanks for answering and telling me what you think! It's so cool that you think that the silence works as an interactive/emotive pull. The reason why I asked the question was that I was asked if I would draw an Eekeemoo comic that had words and I said that I didn't think it was a good idea. For me giving it a readable language would take away from one of it's key aims. That anyone where ever they were in the world could read it. I am doing an interview for the new Web comics nation / Comic space site tomorrow and your thoughts will add grist to the mill. I find most silent comics tedious after a bit, but Eekeemoo has avoided whatever pitfall there is. This is one case I'd hate to see words intrude. 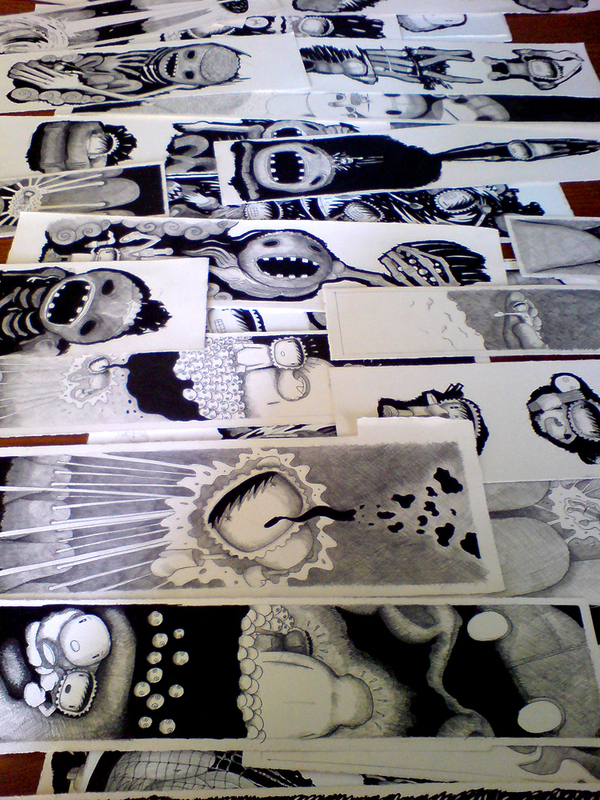 Here are some of the 200+ original drawings for eekeemoo. Some are over a meter in length! Holy cow dude, you could wallpaper a room with all those pages. Good stuff. Holy cow dude, you could wallpaper a room with all those pages.Good stuff. That sounds like an ace idea Gunwhale! I have been putting together the new Eekeemoo and comic for print Eekeemoo in the Cloud City. It's coming out on the first of June. I will to continue on with Eekeemoo and the Singing Stone this weekend a new post on Sunday! Nice. I'll be buying that. Very cool. Where will we be able to pick it up? 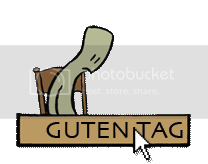 Hi Jake and William you'll be be able to get it from the new Butternut site when shop it launches... I'll let you know when it's up. Last edited by willmj on Sat Apr 18, 2009 4:31 am, edited 1 time in total. Will, this story just keeps getting better. You're really ramping up the action. And that's awesome about eekeemoo going to print. Who did you use to print it? Beautiful cover. Can't wait to hear about the ordering info.